Ron and Maggie Tear Photography: Cow. Spotted thisa on the millenium bridge. 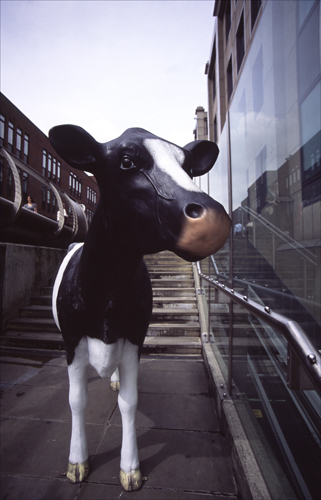 It was one of those street cows made of fibre glass installed in various locations. Going down the stairs to it's new location. Looked surprised !